Holidays are a time when most of like to settle ourselves into a five-star hotel for some serious doing of absolutely nothing but, it is also great to get out now and again for a bit of exploration. In this edition, we look at five of the best island destinations where you can get the best of tropical life, gorgeous sun-kissed, white-sandy beaches, tropical jungle and azure seas filled with marine life. So pack your swimsuit and get out among the islands. As one of the world’s best destinations, Bali never fails to amaze everyone. Whether you are a culinary aficionado, adventure junky, culture lover or just a person who loves to do nothing but enjoy a relaxing time by the beach, Bali has everything (well, perhaps not a lot of snow skiing). While parts of the island have become commercial and touristy, there are still plenty of untouched areas waiting to be explored and well worth a visit. The Uluwatu Temple or Pura Luhur is one of Bali’s most popular places to visit with its glorious, majestic sunsets overlooking the Indian Ocean. 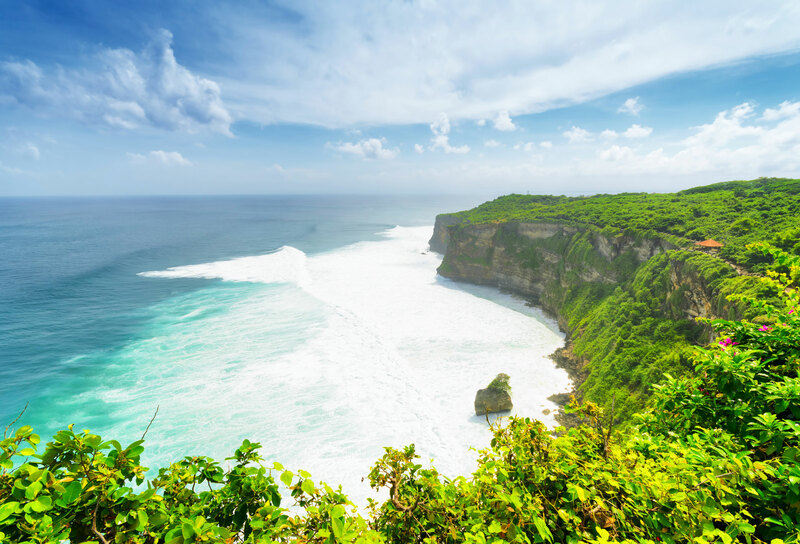 Uluwatu is one of six major temples built as Bali’s six spiritual pillars and sits dramatically perched on the top of a cliff 70 metres above the sea below. Daily Kecak dance performances are presented at this temple, an event that should not be missed. Gili Air is the easternmost of the three islands in the Gili archipelago, the closest to the much larger island of Lombok. Gili Air with its relaxed pace of life attracts backpackers who prefer to dive, meet other fellow travellers or simply want to chill out. The roads here are still more sandy than paved, and the beaches are arguably the best in the Gilis. Offering quite a different experience to the more vibrant Gili T (Trawangan) and the quieter Gili Meno, Gili Air strikes just the right balance between nightlife and relaxation a popular destination for travellers looking for a tropical island getaway. Widely acclaimed one of the most beautiful islands in the world, Phi Phi is in fact, a group of 6 islands. Phi Phi Leh and Phi Phi Don are the two main islands and most well known. For then first time visitor, a must visit is Maya Bay at Phi Phi Leh, this is the place where Leo DiCaprio filmed “The Beach.” Beautiful white sand beaches are backed by limestone cliffs, and quiet little bays can be found in this spectacular area. To the North East is Bamboo Island or Koh Mai Phai. A lovely beach surrounds this tiny little island although it is interesting to note that, due to an error in translation, it is covered by casuarina trees, there’s not a stick of bamboo in sight. North of Phi Phi Don you’ll find Koh Yung, an attractive island where limestone cliffs dominate the landscape which, with its clear water, coral reefs and rich marine life, has become an exciting snorkelling area. The main centre for the island group is Phi Phi Don where you can find accommodation, restaurants, and a dive centre. The smaller of two ‘Koh’ island, Koh Nangyuan is a famous tourism destination on the central gulf coast of Southern Thailand and has attracted worldwide attention for its rugged natural beauty, its mesmerising sunsets, its clear blue waters and its underwater marine life. 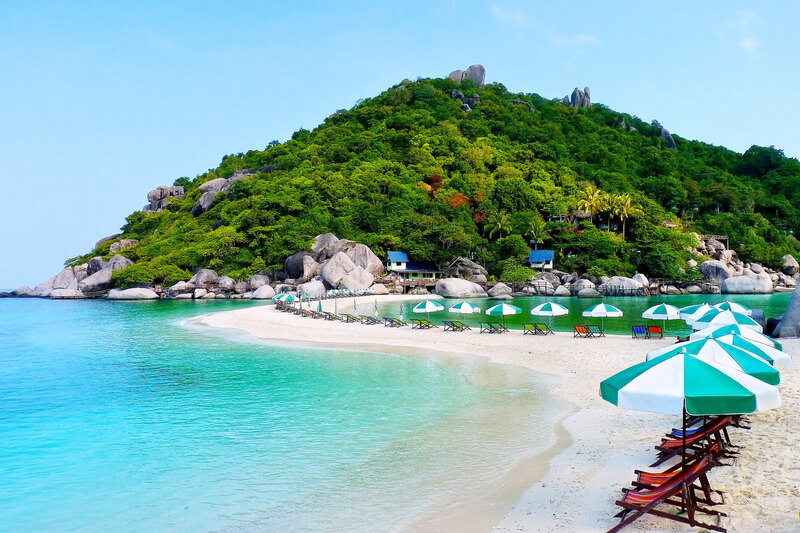 Snorkelling sites in Koh Nangyuan are relatively easy to reach although, with its clear waters, those who don’t wish to get wet can observe the beauty of the island’s colourful marine life from above the surface. 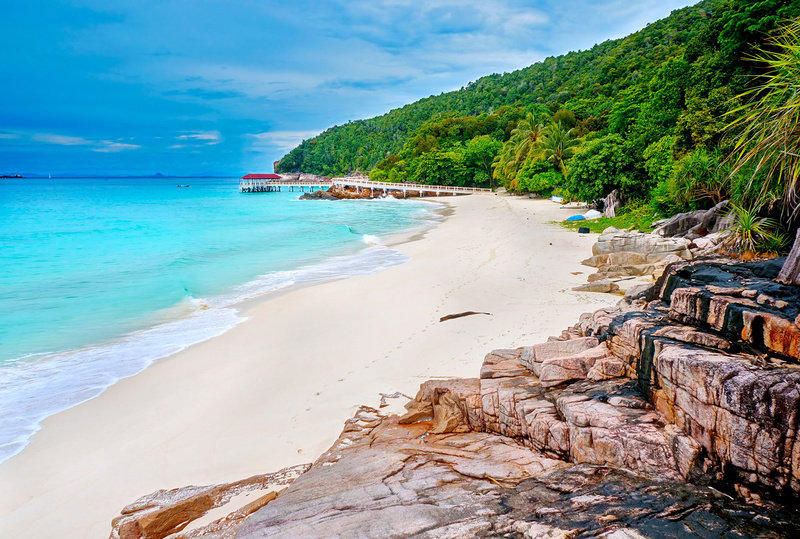 Redang Island is one of the largest islands off the East coast of Malaysia and is renowned for its crystal clear waters and white sandy beaches. It is, in fact, the main island of a group of 9 islands namely Lima, Paku Besar, Paku Kecil, Kerengga Besar, Kerengga Kecil, Ekor Tebu, Ling and Pinang Islands which form a marine sanctuary offering snorkelling and diving activities. You can reach Redang by travelling to Kuala Lumpur then taking a one hour flight to Kuala Terengganu Airport, from where you continue the trip to Redang Island by boat.